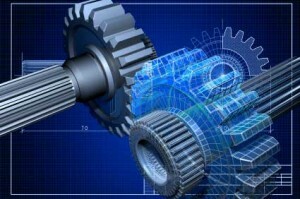 Every physical realization of a product or system design requires some level of mechanical design. In many cases, the physical packaging requirements are the primary design driver; impacting all areas of the design including thermal management, electronic component selection, and circuit design. Whether your product requires a simple box enclosure, or is a sophisticated machine with many moving parts and complex forces, Resonant Circuit Labs involves mechanical engineers from the inception of every project. For simple projects this early involvement ensures that preventable problems are identified early in the process. For complex machine design, this early involvement allows us to provide accurate planning for the development cycle. Frequently, we are called on to design sub-systems that integrate into larger systems. We can integrate with most CAD/CAM packages and maintain compatibility with your design documentation system; and we focus on Solidworks and AutoCAD for new designs. For rapid prototyping and to ensure first-pass functionality, we provide simulation and analysis services that include motion, force, clearance, and thermal analysis. For Biotech and Physical Sciences applications we add Computational Fluid Dynamics, Pneumatic, and Optical analysis. Call us today if your electronic system has demanding or unique mechanical requirements.